We got a call from Scott a few weeks ago asking us to help out with their Awards Night for the Pine Rivers Aquatics Club out at Strathpine. 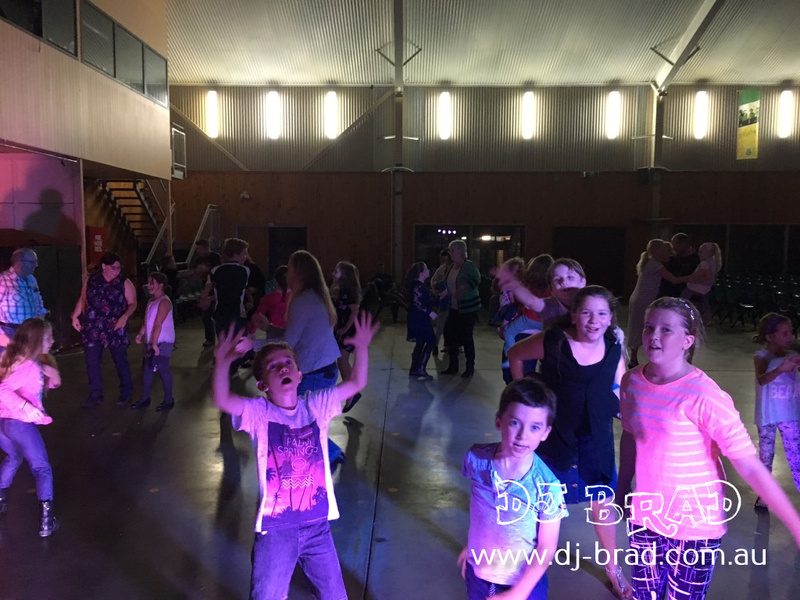 They were looking for someone to help provide some Kids Party entertainment for the night after everyone got their awards and provide a bit of a disco for the evening to help celebrate – so we were more than happy to come out and entertain the kids. After arriving about 6pm to start setting up – everyone was outside eating some Pizza just before they started walking in. Then about an hour later the awards night started with a handful of awards to all the students both young & adult getting settled in and welcomed by the committee and starting with a slideshow of lots of different photos. They started off announcing all the different awards for the various types of categories, and students headed on up to receive their trophy & medals. This continued on for about an hour and then about 8:00pm it was ready to kick off our kids party disco. The kids came over and started having a dance, young & small everyone had a bit of a boogie, and then it was time to have some games & entertainment. I said hello to them all, welcoming them, and finding out who was the best swimmer, and who was the winner, and best dancer and so forth and then we had some fun. Full of Musical Statues, Dance Offs, we even had a dancing competition where the kids got to score on the iPad and picked out a price for the best dancing group. We finished up just before 10:00pm with Mums & Dads having a dance, and then eventually a few kids finishing up their dance before heading home. It was a fun night for all the swimmers, and parents at the awards night and a great way to finish off their Saturday night with Pizza, Awards, Trophies & Dancing.